The Washington Wizards will face the Cleveland Cavaliers at 7 PM Eastern tomorrow night. That could possibly be the first “trap game” the Wizards will have had to endure this season. There are no excuses if Washington faces a shorthanded Cavaliers team and comes up short. Is it a trap game? Everything is coming full circle for the Wizards. They’ve won two in a row, the bench is starting to produce, and they can make up some ground in the East during this five-game homestand. The only thing that would dampen the mood is if they lost to the team with the worst record in the league at home. They’ve done it before. Last season, the Wizards lost a November home game to the Phoenix Suns who had already fired their coach en route to the league’s worst record. Even though the Wizards haven’t been quite as good as last season, losing to Cleveland would be worse. 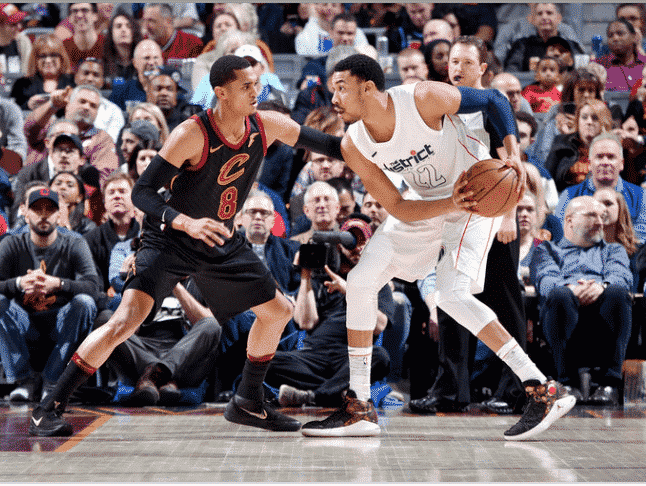 The Cavaliers may be the only team more dysfunctional than the Wizards thanks to Tyronn Lue’s firing, Kevin Love and George Hill’s injuries, and the bad contracts of players they have as they try to rebuild the team for the future. Can the Wizards make it three in a row? Hopefully. Given Washington’s luck, Cleveland will probably go out and drain 20 threes. However, they are crippled and Washington is at full strength. This should give the Wizards absolutely no excuses if they lose tomorrow night. I believe that the Wizards will win though. An excellent starting five (apart from Otto) followed by terrific bench play should be enough. Washington needs to be able to pace themselves throughout the game as Cleveland is not known for being effortless.